Today during Writer's Workshop we worked on being good partners. 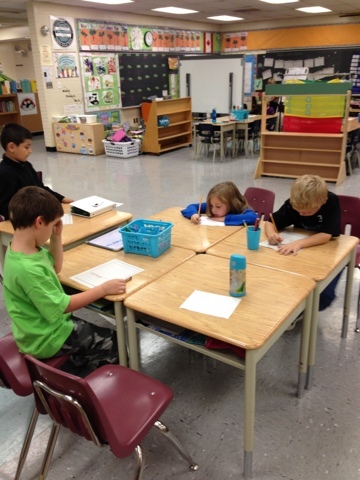 We are practicing the notice and question part of share time. 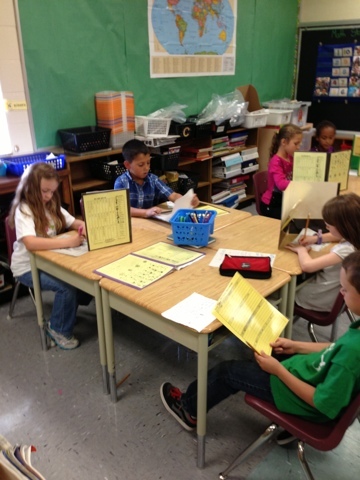 Students chose a piece of writing and met with their partner. Their partner had to share what they noticed about their writing and to ask a question about their partner's writing piece. We are also working on our stamina. We are up to 11 minutes without talking and working the whole time! Our goal is 13 minutes. When we reach our goal there will be a special treat for the class. I hope we get to 13 minutes tomorrow! 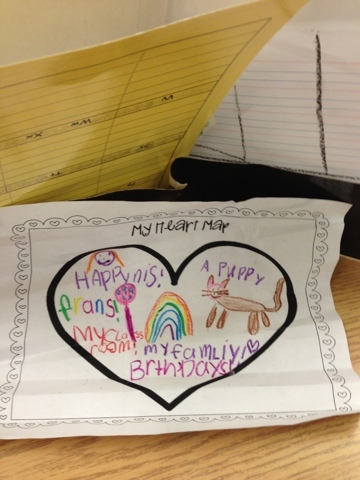 Annalyse uses her heart map for ideas to write about.